The Maui Subfactor Conference will be held July 18-22, 2011 in Maui, HI. This conference is supported by a DARPA seedling grant, and the subject matter will follow its focus on the classification of subfactors and fusion categories and the connections between random matrices and planar algebras. 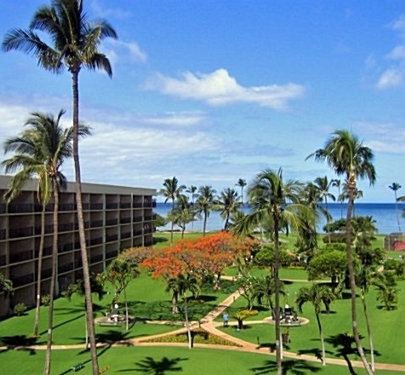 The organizers will arrange for most people to stay at Maui Sunset in Kihei. There are many nearby alternatives for anyone who would prefer to stay elsewhere. The relevant airport is Kahului Airport (OGG). Talks will most likely be held at the Kihei Community College. 9a-10a: Vaughan Jones - Manifestly unitary chiral WZW? Monday evening at Maui sunset: Tony Falcone - Does Mathematics at DARPA = Military Intelligence? Talks Tuesday-Friday will be held at Maui College, in room Laulima 102 (map). Contact Dave Penneys at dpenneys@math.berkeley.edu or Scott Morrison at scott@tqft.net for more information. The organizers and participants would like to thank DARPA for making this conference possible.